Call queues are used when you can not answer every customer query, because more customers would like to talk to employees then employees available. In these situations you can put the customers in a queue. While they are waiting you can play them music and announce to them their queue position. A queue can progress faster if you assign more employees to handle it. You need to register a call queue extension. If the customer calls this extension he/she will get into a call queue. On the right side of the screen you will see a green bordered box called Extensions. Click ’Add’ (Figure 2). On the left half of the screen you will see a ’Call queue’ label. Click the ’Install’ button next to it (Figure 3). Give an extension number to the call queue and configure it. Later on if you want to change configuration, you can do it anytime. Keep in mind that you can not change the extension number later on. The most important thing to configure is to choose the extensions that will be in the ringing group. You can choose 1 or more extensions. These extensions can be called if the caller calls the call queue. It’s also advised to set the call priority, this determines the order which the extensions will ring in. You can set it to ring all, to ring them randomly or to ring them in priority order. The priority order is the order they are added to the ringing group. You can change the order with the Up/Down buttons. You can also add an external number by typing in the number and clicking 'Add' (Figure 4). 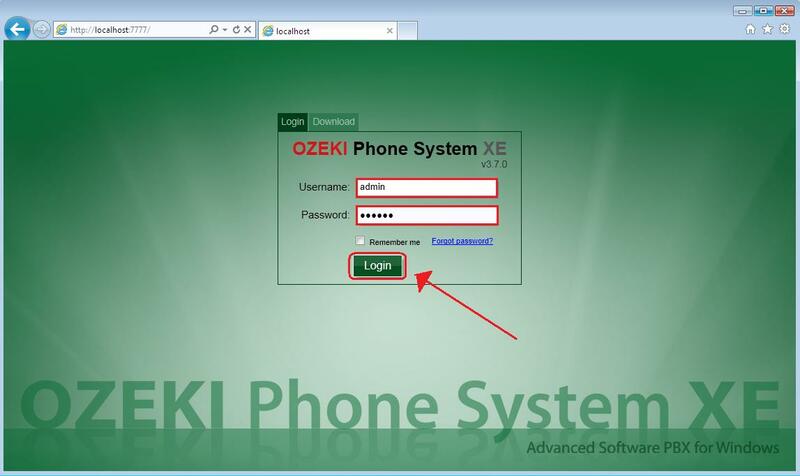 This is good if an outside line is added to Ozeki Phone System XE. When giving an external number you also have to type in the prefix. For more detailed configuration click the ’Advanced’ tab (Figure 5). If you set ’Intro prompt enabled’ then you can add a wav or mp3 file to be played to the caller before he/she gets into the queue. You can also use the speak engine to read him a text if you want to. If you check the ’Announce queue position to the box of the caller, then the caller will be told if he/she needs to wait more. You can also set the announcement interval to define the delay between the announcements. By uploading a music on hold mp3 or wav file, the caller will hear a music until he/she gets answered. You can also play advertisements to them if you want to. By setting the maximum queue waiting time, you determine how long the caller should wait for the employee to pick up the phone. If the time runs out the caller will be hung up. If every extension in the call queue is ringing, the group is busy, they will be checked again in 5 seconds. If you are ready with configuring the call queue, click 'OK'. To make a test call you need to call the call queue from a SIP extension. 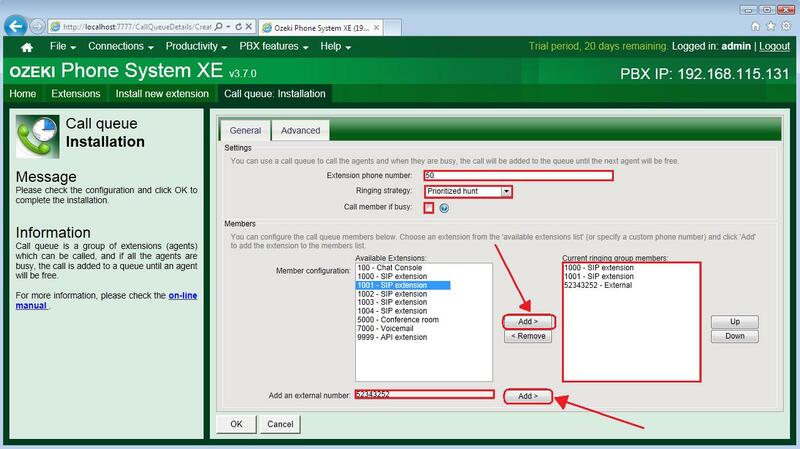 In the example below the phone number of the call queue extension is 50. 1000 and 1001 are the call queue members. 1002 will be the extension you will dial the call queue from. Now, take a look at how the call queue connects to the calls (Figure 6). Congratulations! Now you should have a working call queue. You can test it further by making calls from more extensions simultaneously. The call queue is a great way to handle massive amount of people calling, combining it with an IVR it can be a great solution for your company. By putting your customers in a line you can serve them in the order they made the call.